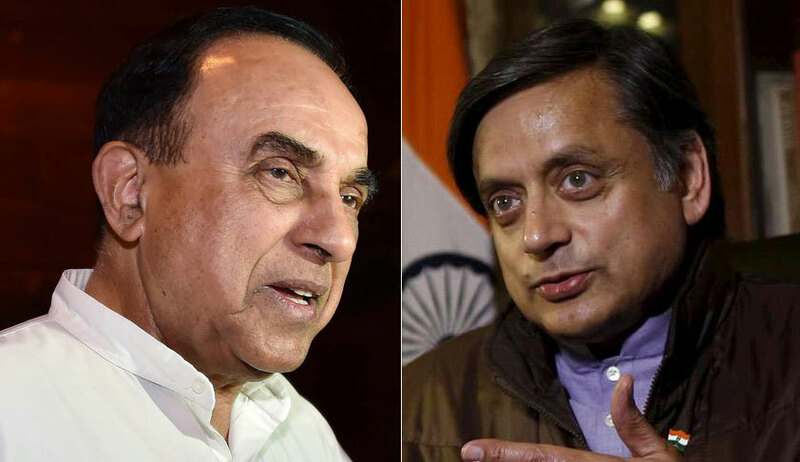 A Supreme Court bench of Justices Arun Mishra and S Abdul Nazeer today disposed of a petition filed by BJP leader Subramanian Swamy demanding a multi-disciplinary SIT or CBI probe into the death of Sunanda Pushkar, wife of Congress leader Shashi Tharoor. Now with charge-sheet having been filed by the Delhi Police, nothing remains for us to adjudicate. We are disposing it off, the bench noted. The bench, however accepted Swamy’s submission and kept open the question of his locus to file PILs is in future. Senior advocates Kapil Sibal and Vikas Pahwa appeared for Tharoor in the case. Swamy had moved SC after the Delhi High Court dismissed the plea terming it as ‘Political Interest Litigation’. On February 23, the bench had issued notice to the Delhi police which recently filed a 3,000-page charge sheet charging Tharoor with abetment of suicide. HC had earlier noted that Swamy had nowhere mentioned in the petition that he is a BJP leader or that Tharoor is a Congress leader. Further, he had omitted to implead Tharoor. Swamy, in his plea, alleged that the police had "botched up" the probe, and accused Tharoor of "interfering" in the investigation even when he was a minister in the UPA regime. But the HC said “nothing has been placed on record to probablise, let alone substantiate, the vague and sweeping allegations made in the petition that the investigation was botched” by the police at the “behest of the rich and influential”.